Spinzilla 2015 is Over, Now What? October was a month to remember! The 25 spinners on the Cloth Road’s Warmis Phuskadoras team spun a whopping 68,511 yards during Spinzilla Spinning Week, all on drop spindles. The team ranked 24th out of the 64 teams, which put Bolivia in 4th place out of the 14 countries represented. Thanks again to all the well-wishers who helped make it possible for the women to participate. The support and words of good cheer helped them to begin to understand that they are part of a bigger world of spinners. Cloth Roads has enthusiastically agreed to sponsor the team for Spinzilla 2016 and the women are already talking about how to spin more during next year’s competition. What will they do with the 68,511 yards of yarn you may wonder? 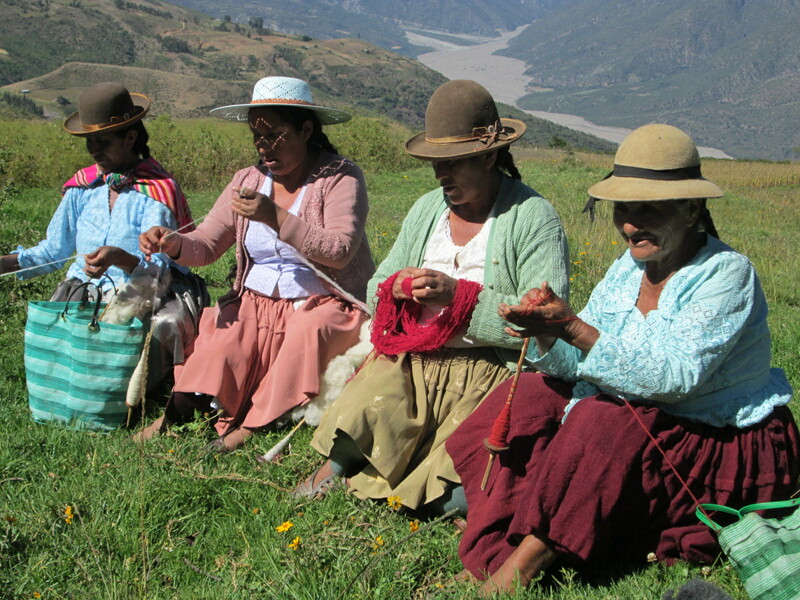 All the women are weavers, and the spinning is just 1 step in their ancient weaving tradition they learned as girls. The yarn will be wound into skeins, washed, dyed, washed, plyed, warped, and finally woven. 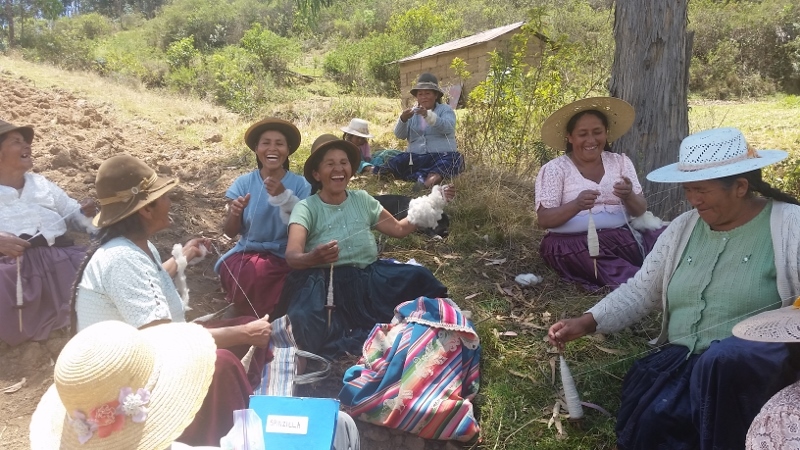 The weavings could be for home and farm use, cultural celebrations, or PAZA orders which help the women to generate the income they need to meet the basic needs for their families. When the hoopla of Spinzilla dyed down the spinners in the Club de Artesanas (CdA) were ready to start dyeing. 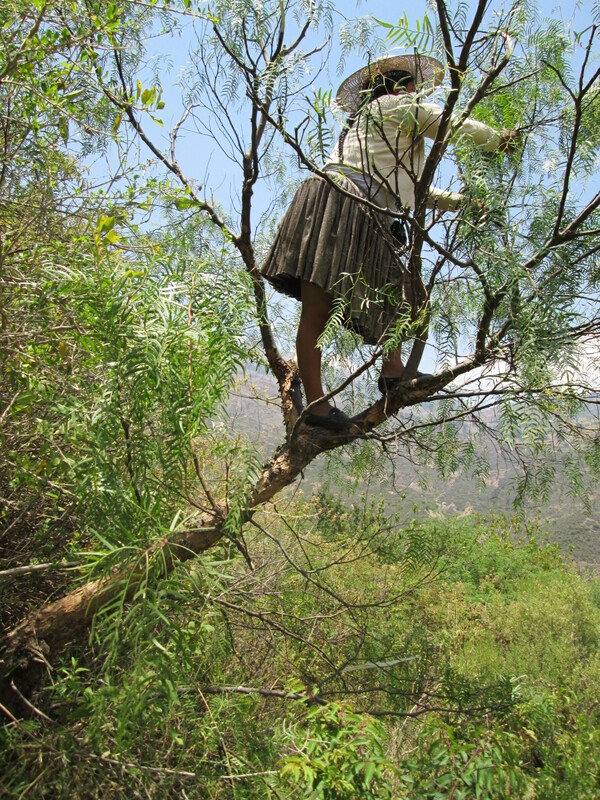 On Tuesday they collected and prepped sumakaya bark and molle leaves and spent all day Thursday dyeing. Unfortunately, the molle leaves which produce a bright yellow dye produced nothing. The notes from past dye workshops were reviewed and showed successful dye pots in August, so no bright yellow until next year. A cochineal dye bath replaced the molle pot on the 2 burner dye stove with alum added to produce pink tones. Adding a mordant to a cochineal dye bath never ceases to arouse murmurs of awe from those around the dye pot. 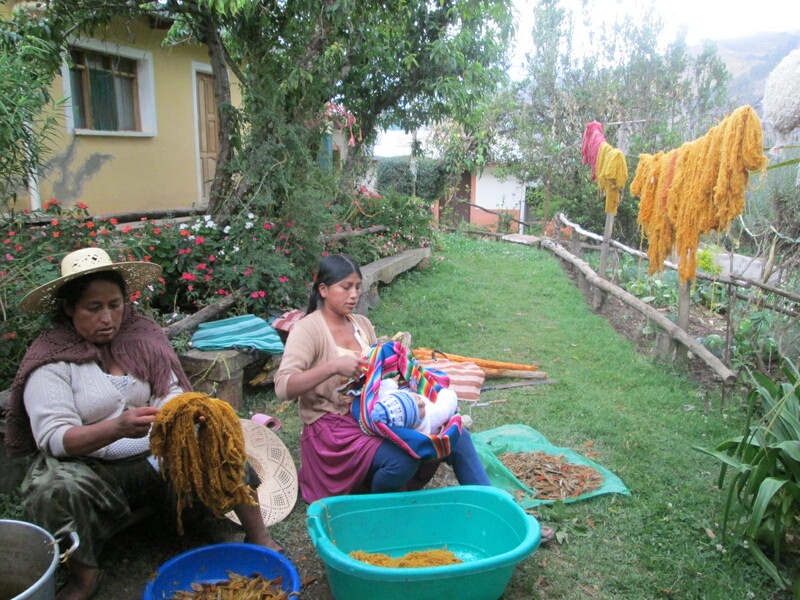 Two weavers from rural communities had sent in skeins with requests for the colors they needed which helped the CdA members plan Thursday´s dye day. The simplicity of the rustic loom set-up allows weavers to have more than 1 weaving in progress. 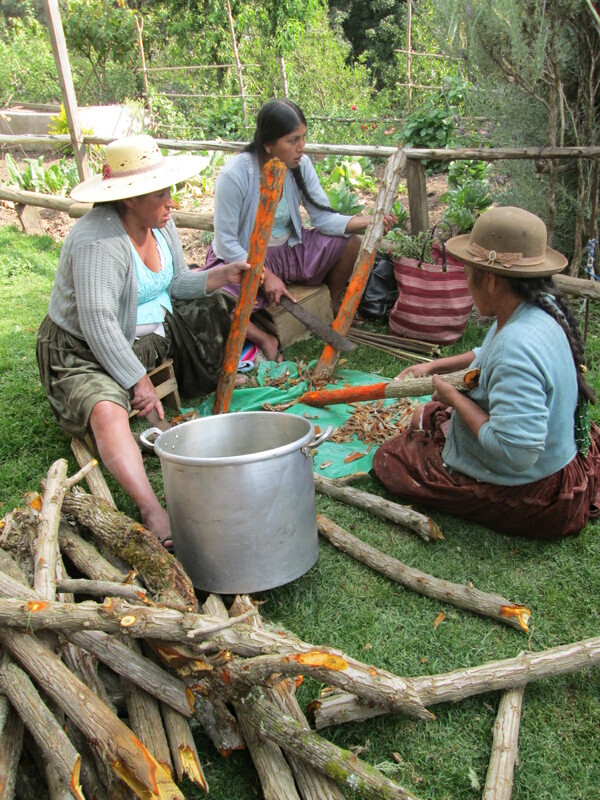 Last week, Doña Máxima rolled up the aguayo half which was ¾ of the way woven and set it aside. She replaced it with a warp for a PAZA order. The aguayo is being woven for Carnaval in February. 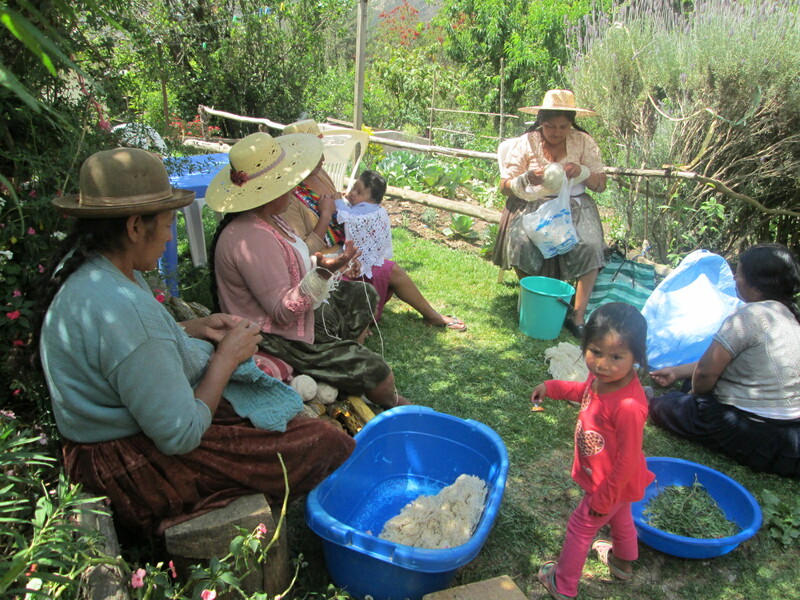 The weaving for the PAZA order helped her meet unexpected costs related to her son´s upcoming graduation from a 2 year accounting program in Cochabamba. She commented on how much easier it is to weave with the smooth synthetic yarn used in the aguayo as compared to the physical strength needed to beat down the warp of the nubby natural dyed wool. Her weaving for the PAZA order will be used to make prototypes of a clutch and an organizer bag, which will be paired with leather. PAZA has worked with a leather store in Cochabamba for 4 years to produce the guitar straps, belts, wallets, keyrings, camera straps, and a few bags each year. Thanks to a new Cochabamba connection, PAZA will leave the higher end leather products on consignment in their shop in hopes of sales to keep orders going to the weavers. The CdA chicas continue to meet on Saturday mornings, and have branched out from just crocheting. They tried their hand at soap making and spent another day drawing, in which they were so utterly engrossed they had to be asked 3 times to take a break for tea and peanut coconut cookies. 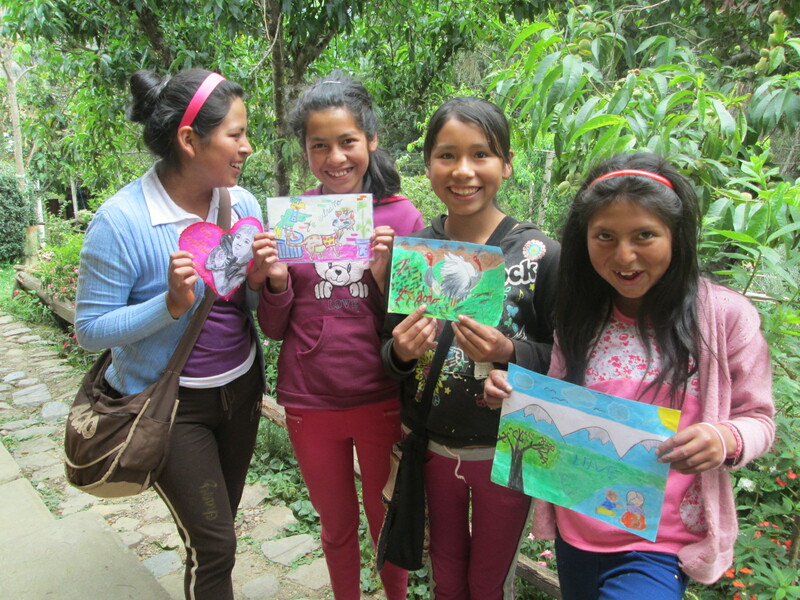 The fruits of their labor adorn the walls of PAZA´s library. 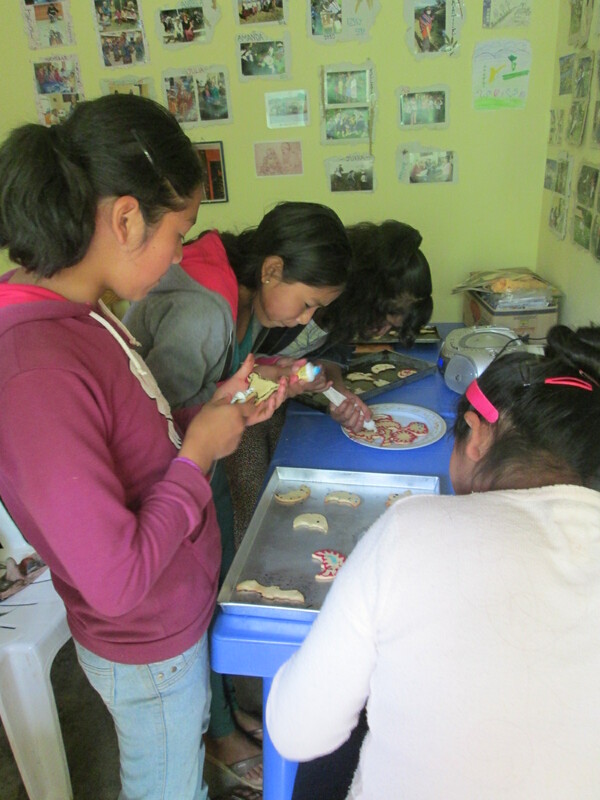 Halloween, which is not celebrated in Independencia, fell on a Saturday and the chicas got a charge our of wielding the cookie cutters shaped liked witches, pumpkins, cats, and bats and decorating the baked cookies with colored royal icing. It was good practice for the upcoming holiday baking extravaganza when enough cookies will be baked and decorated for all the CdA members to take a bag home to share with their families.